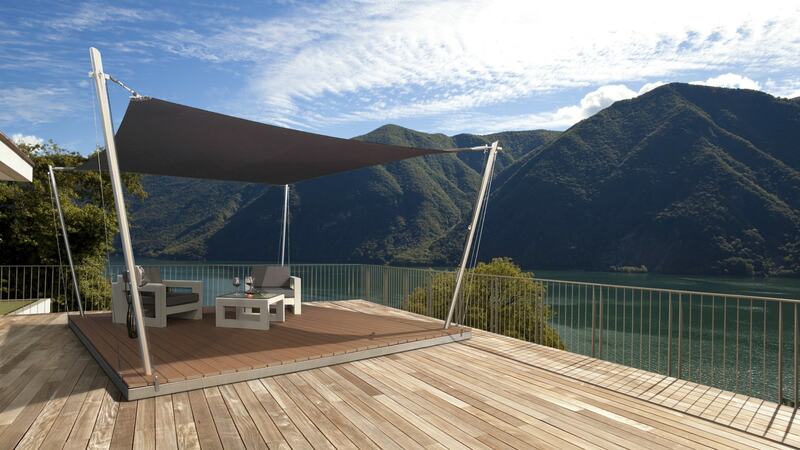 Vela Lounge – A Top-Class Solar Sail Patio! A ready-made patio manufactured from high-quality UPM floor boards installed on a stainless steel frame lends a modern appearance to your outdoor space! 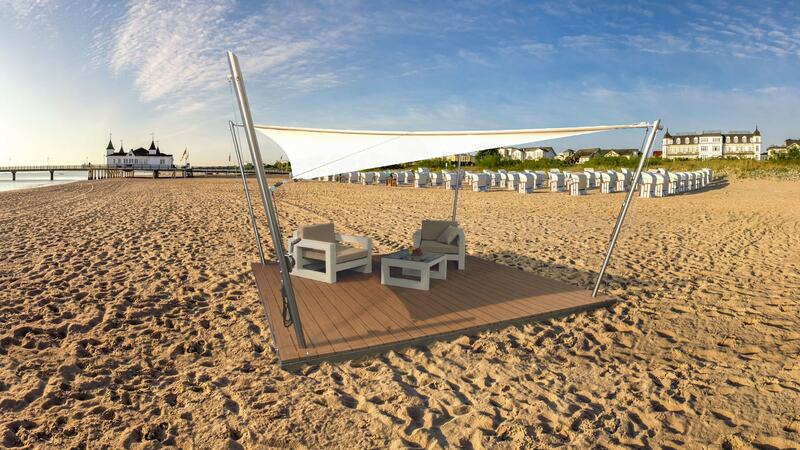 The Vela-Lounge can be assembled anywhere in your yard, on the beach, in public places or for a limited duration event with little effort. 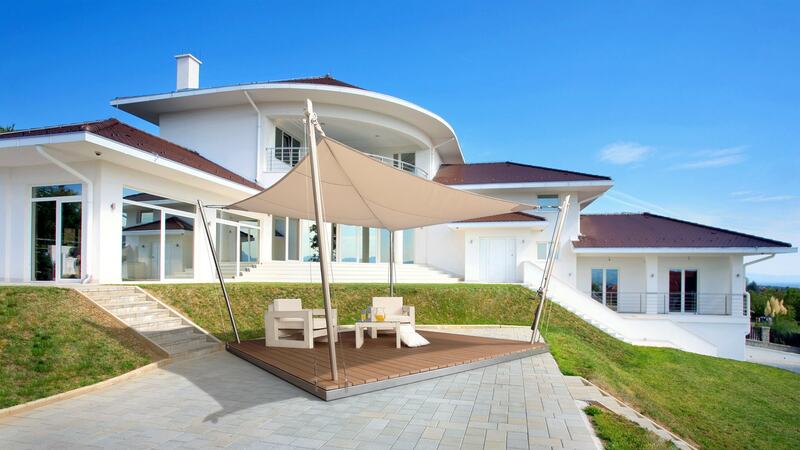 The solar sail system made from state-of-the-art materials is particularly eye-catching and provides sufficient shade and protection from UV-rays. The precisely functioning and specially selected stylish sailing sports components give the solar sail system a nautical appearance! The Vela Lounge is an area for everyone seeking an extraordinary experience to relax! The Vela-Lounge assembly/dis-assembly is quick and easy. It offers easy handling and longevity. 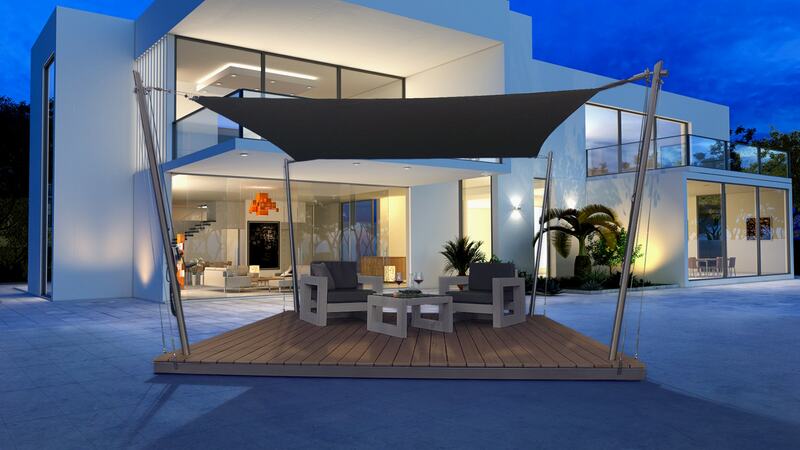 All materials are extremely weather-resistant and durable. The solar sail system protects from the sun as well as rain, and resists high wind-loads! Of course, the Vela-Lounge is also available in a fully automated roll-up version. As far as comfort is concerned, an electric roll-up solar sail system leaves nothing to be desired. Operation with a handheld transmitter provides the desired shade quickly and conveniently in an infinitively variable size. The integrated sun, wind and rain sensor adapts operation according to the weather. The Vela-Lounge canvas is available in three different colors. In addition, you can furnish your Vela-Lounge with stylish concrete furniture. 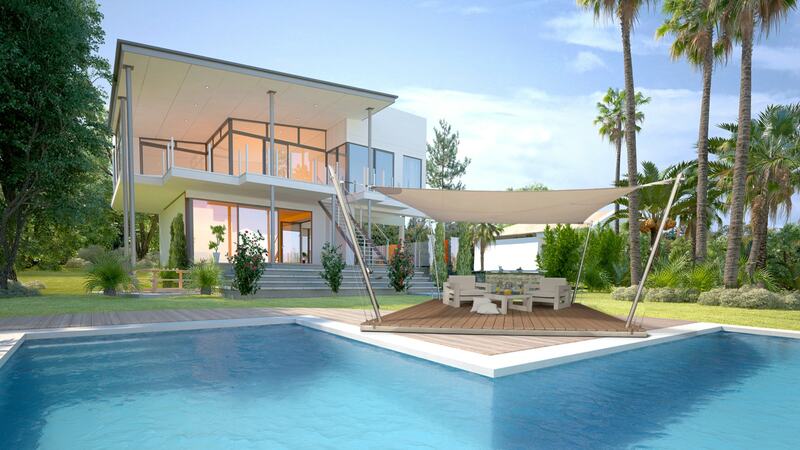 The powerful design complements the material aesthetics of the patio tile. The Vela-Lounge is shipped for do-it-yourself assembly or can also be assembled by our specialists upon request! Got any questions? We are happy to answer them for you!